1-2pm- VIP (Very Impatient Purchaser) Hour! Limited number of passes on sale now. A stellar lineup of more than 15 award-winning Food Trucks! SO WHERE DO ALL THE PROCEEDS GO? Student scholarships, of course! Each of the 15 public high school districts served by COD has a dedicated scholarship for their graduates who choose to attend COD and access a world-class education without exorbitant loans. When you register for either the 5K Run/Walk or the 100-Yard Youth Dash, designate your race fee to the high school district of your choice. Be prepared to make difficult decisions at the College of DuPage Food Truck Rally! NEW IN 2018... Very Impatient Purchaser Passes! Purchase power and more information at www.cod.edu/rally. The Crave Bar: Salty-sweet ice cream perfection! Harold's Chicken Shack: Famous fried chicken...one bite and they've gotcha! 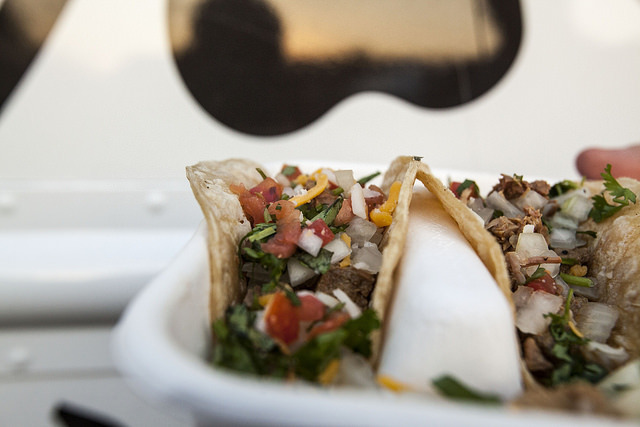 Toasty Taco: Tasty street tacos, tamales and more! *New this year*... Costume Contests! In honor of the upcoming spooky holiday, we're holding the first-ever COD Sunset costume contests at 6:15 p.m. near the stage. Join us in costume and be judged on originality, attention to detail, and receive an overall score. Ages 0 through 11: First 30 in line get an LED foam stick for participation. Each child in 0-11 age group will parade on stage. Parents may accompany young children. Costumes must be family friendly. Event organizers reserve the right to reject an entry based on inappropriate, unsafe, or illegal behavior and/or violations of the family friendly nature of the contest. 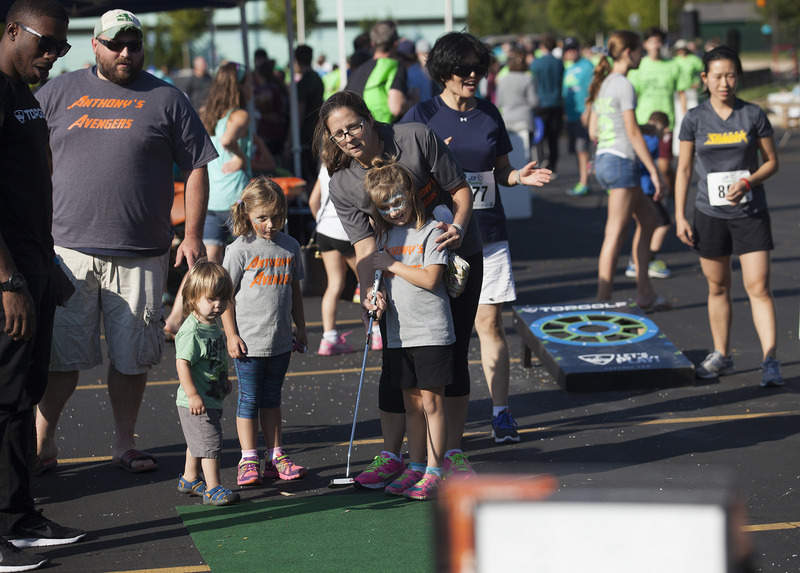 Kids know how to have fun and there will be plenty of free activities for all ages at the 2018 College of DuPage Food Truck Rally & Sunset 5K. 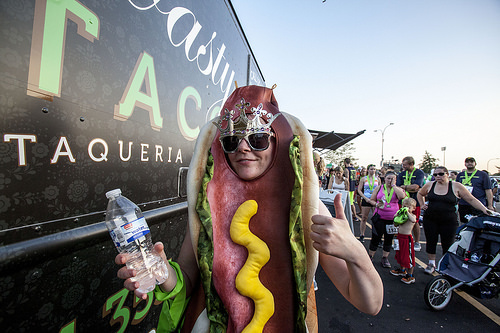 You do not need to register for the 5K to attend the Food Truck Rally. STRONG RECOMMENDATION: Register online and pick up your packet before race day to avoid lines. Pre-race packet pickup announced soon. Walkers and strollers are welcome and will be asked to follow the start line signs for a predicted pace lineup. Bicycles, in-line skates, and other wheeled vehicles (except wheelchairs and strollers) are not allowed. For technical assistance with online registration, please call Active.com Consumer Support line at (877) 228-4881, option 4. Packet pickup hours of operation are 2 to 3 p.m. only. Racers are HIGHLY ENCOURAGED to retrieve packets during the several pre-race day events (announced soon) to avoid congestion and lines. Onsite cash registration will not be available. Race day registrants are not guaranteed to receive a race packet with a shirt. 5K race day registrations accepted by the Race Director after 3 p.m. are not guaranteed ranking. General Registration: Current price is $25, but it definitely will go up! We're only announcing fee increases on Facebook and in emails. 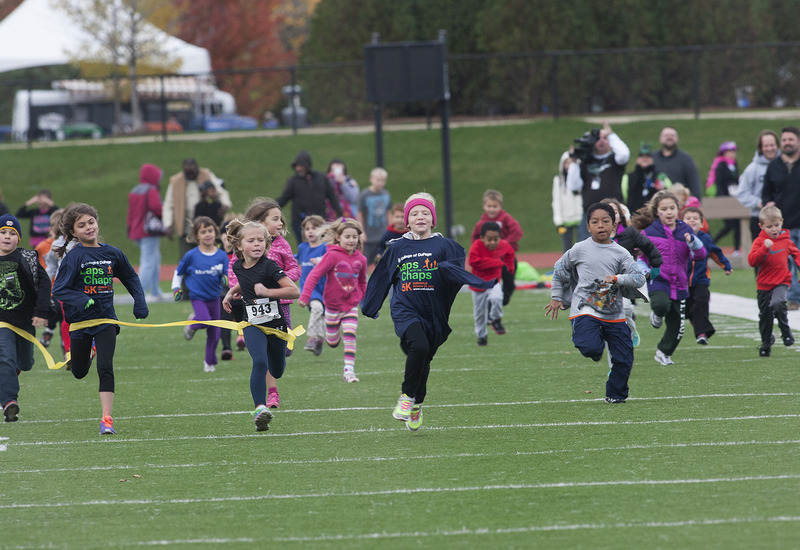 Children 4 and under: No need to register for the 5K unless timing is preferred. Registration closes at 3 p.m. on race day. Online only at Active.com. Participants will receive unchipped bibs. 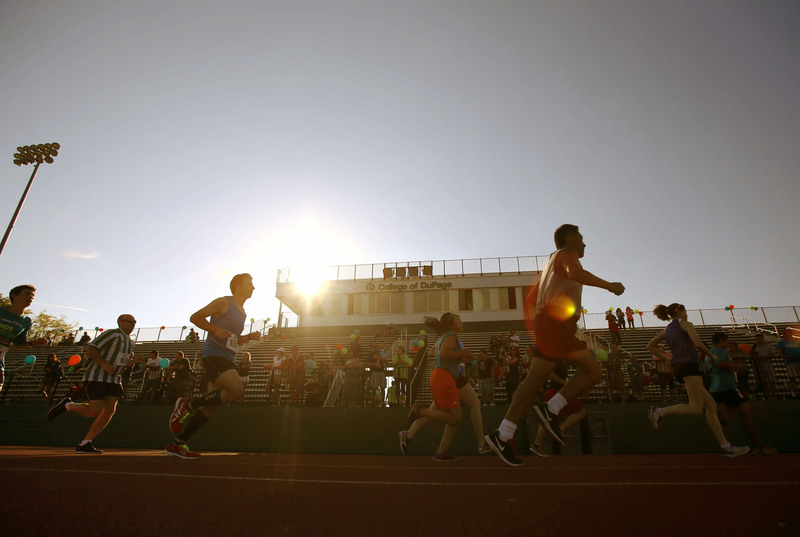 $25 Visa gift cards will be awarded to the fastest girls and boys in each age division. See the race official at the finish line. Each winner will be required to complete a W-9 per IRS guidelines and be accompanied by an adult to receive awards. Unofficially timed with stopwatches and eagle-eyed volunteers. 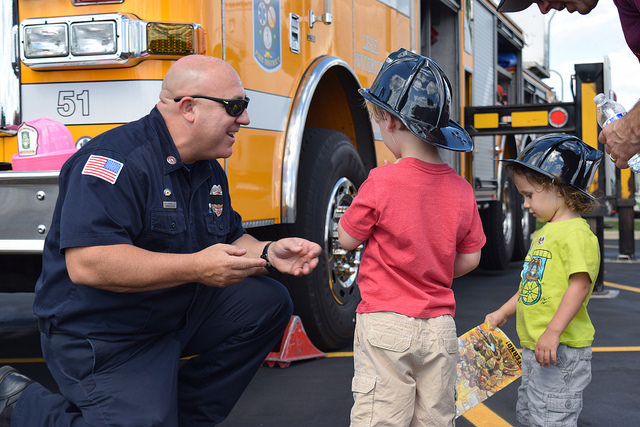 Don't forget about the Touch-A-Truck, pumpkin painting, and the other free Kid Zone activities! Teams consist of 3-15 people and can be created at the time of race registration on Active.com. *New this year* All team members will receive a special gift at the time of packet pickup. Each member of the fastest team will receive a $50 Whole Foods gift card! The winning team will be based on the average of the top three team members' times. 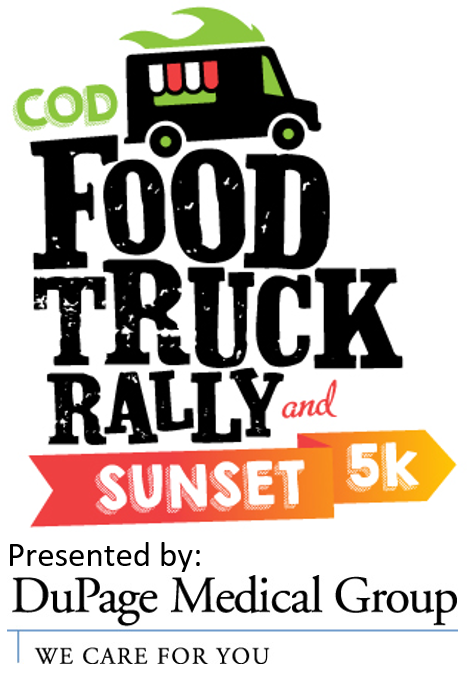 The winning team will be announced at 6:00 p.m. from the Food Truck Rally stage. All members must be present and complete a W-9 per IRS guidelines to receive prizes. Individuals under the age of 18 must be accompanied by an adult. Team Captain has the option to require a password for others to join. It is suggested that the captain communicate with potential members that the team has been created and what the password is, if any. TO JOIN A TEAM, you will search for and select the team name during self-registration. POST-REGISTRATION TEAM FORMATION: Teams may be created after self-registration has occurred by logging into Active.com. Click on "My Events" and modify the existing COD 5K form with the steps listed above. Day of registration (online only until 3 p.m.) will be available for new teams or additional team members. 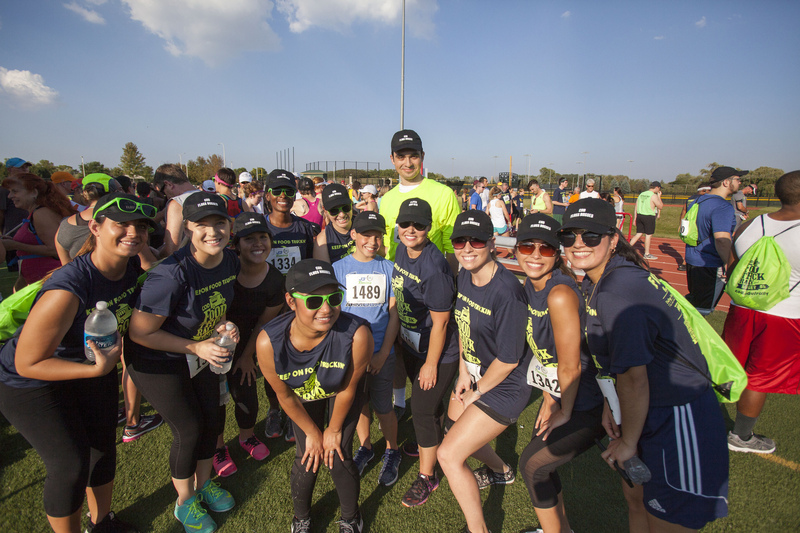 Teams may have a free professional photo taken on race day near the start line. The Flickr link will be emailed within one week of the event to Team Captains. Teams are limited to 15 people each. If larger than 15 members, a second team may be formed, but official times will be totaled separately. Only teams with at least three (3) registered members with official times will qualify. If less than three (3) registered members, individual scores will still apply for age group awards. Awards will be mailed to team members using addresses provided during online registration. Fastest Team winners will not qualify for Top Overall Male or Female. When: Between 3:30 and 4 p.m.
Then what? : Photos will be emailed to the Team Captain within a week of the event. Those who register for the 5K before 3 p.m. on race day will receive a short-sleeved technical shirt in a bag with lots of goodies. We STRONGLY ENCOURAGE racers to pick up packets before race day to avoid congestion and lines during the short one hour that packet pickup will be open on Saturday, October 13 from 2 to 3 p.m.
An individual may collect packets for others as long as they promise to not confuse bib numbers. It is STRONGLY RECOMMENDED that 5K participants pick up packets ahead of time to avoid lines and congestion on race day. It is STRONGLY RECOMMENDED that 5K participants pick up their packets ahead of time to avoid lines and congestion on race day. There will be five packet pick-up lines for pre-registered participants based on the first letter of last names. Packet Pickup stations will open at 2 p.m. and shut down at 3 p.m.
Of course, we hope Mother Nature cooperates and gives us great weather. If that happens (and it will! ), lines will be longer. Just for fun, each 5K race finisher will receive a surprise gift from a smiling volunteer as the gracefully glide under the timing truss. Preliminary timing results will only be posted at www.j3timing.com. If you notice a discrepancy regarding your Time, Gender, or Age Group, notify the timing company immediately in person or at J3Timing@gmail.com by midnight on race day for it to be cleared up before the official results are posted the following day. Official timing results will be available within 24 hours of the event at www.j3timing.com. Age Group Winners: The top three male and female winners of each age group category will receive a fancy medal in their mailbox within two weeks of the event. Medals will not be available on race day just in case there are discrepancies with preliminary results. Age Group awards are based on chip time. Overall awards are based on gun time. Top Overall Winners: The top overall male and female finishers will each win a $100 Visa gift card at the Award Ceremony at 6 p.m.
"Middle of the Pack": This award is calculated after the final race participant crosses the finish line and will be the median time of the first and last finisher. This lucky duck will receive a $100 Visa gift card during the Award Ceremony! Stick around to find out if you've won! The Award Ceremony will take place on the Food Truck Rally stage at 6 p.m. The Top Overall Male and Female runners, the "Middle of the Pack" winner, and Fastest Team will be awarded. WINNERS MUST BE PRESENT and complete a W-9 per IRS guidelines to receive prizes. Individuals under the age of 18 must be accompanied by an adult. Ample free parking will be available on the north and south sides of campus, including Fawell Blvd. lots A, C, and D, and College Road, lots 1 and 2. There will be plenty of volunteers and clear signage to direct you to the event from all parking areas. Accessible parking is available on the north side College lot 1, but please note that anyone in that lot may not leave the premises for safety reasons while the 5K Run/Walk is occurring between approximately 4:15 and 6 p.m. There will be an aid station and water stop along the course to ensure happy and safe participants. Restrooms are located within the Physical Education Center (PEC), just north and west of the festivities. This event will proceed rain or shine. College of DuPage is a tobacco-free campus. All registration payments are final. 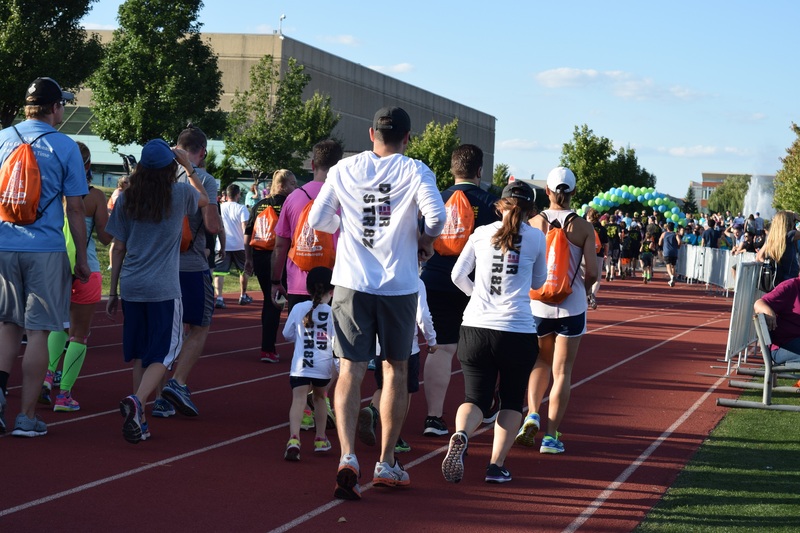 No refunds will be processed unless a doctor's note specifically referencing a need to cancel registration for the College of DuPage Sunset 5K is submitted to COD5K@cod.edu by Friday, Sept. 22, 2017, at 11:59 p.m. CST. If you need special accommodations for the 5K Run/Walk, please e-mail COD5K@cod.edu or call Ami Chambers, race co-director, at (630) 942-3823. Visit www.cod.edu/5K and check out the FAQ’s or email us at COD5K@cod.edu. Keep up with us at www.facebook.com/didyousayfoodtrucks!